Red Dead Redemption is a commercial and critical success, moving more than 1.5 million copies in its first month while wrangling rock-solid reviews. Despite that, Rockstar has axed about 40 employees from the San Diego studio, according to sources close to the developer. Kotaku has heard from multiple sources who say that a "significant" chunk of Rockstar San Diego was let go earlier today, just shy of two months after Red Dead Redemption's release on the Xbox 360 and PlayStation 3. Rockstar Games has not yet responded to requests for comment or clarification on the rumored layoffs. Red Dead Redemption was the subject of multiple delays, a game originally planned for release in the fall of 2009. Between the game's announcement and its completion, Rockstar San Diego employees alleged unfair working conditions at the studio, comparing the company's New York headquarters to the "Eye of Sauron," an accusation that the company said it was saddened (but appeared amused) by. Rockstar San Diego, formerly Angel Studios, is also responsible for the developer's Midnight Club and Smuggler's Run series. Update: Rockstar sends the following statement from Steve Martin, Studio Manager at Rockstar San Diego. "As is typical with game development, our team sizes have always fluctuated over the course of the development cycle. As Rockstar San Diego transitions from the launch of Red Dead Redemption onto future projects, we are realigning our resources in order to continue to develop games as effectively as possible. We are ensuring that all employees who are affected by these changes are being treated with care. 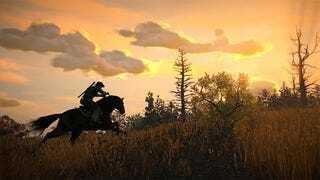 While we have no announcements to make regarding a sequel to Red Dead Redemption, the team here are hard at work on the development of downloadable content for the game." Let&apos;s Play A Game: How Many Copies Of Modern Warfare 2 Have Been Sold?